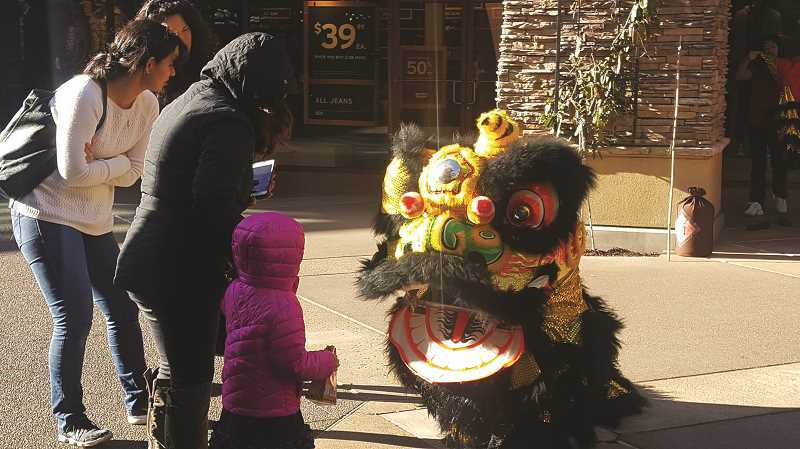 Woodburn Premium Outlets celebrated the Year of the Rooster with a lion dance and dragon dance performances Jan. 27-29. 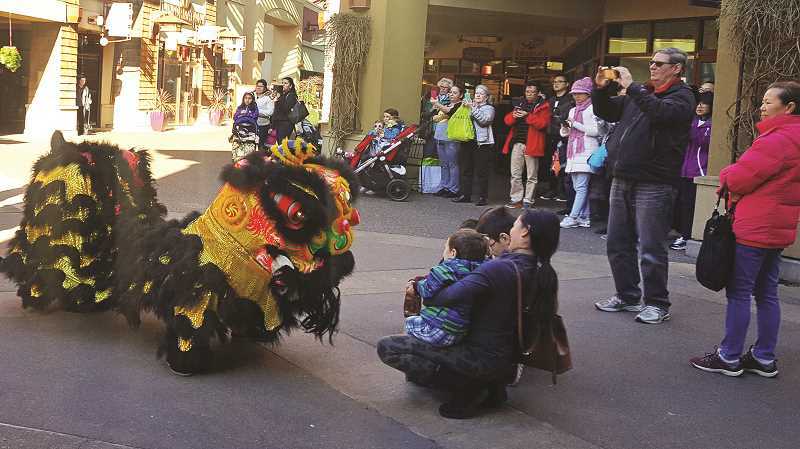 The retail outlets in west Woodburn welcomed the new year with an International Lion Dance led by Michael Choi and performance from Portland Lee's Association Dragon and Lion Dance Team. The free performances began Friday and continued throughout Chinese New Year weekend. In addition, the property handed out gold coins and finger toys to shoppers who visited guest services.